"IIS-RT" is focused on the information materials and articles, based on the observation, researching, interpretation and using of the resonance technologies in the Nature and Society ( ikar_xxi_en.pdf). CD - full version of the magazine with archives, library, useful links. Published articles of department Biomedical physics in the field of nonlinear dynamic systems (AWIK, resonance). Electrolysis or water instead of petrol. III International Symposium "Electrochemical activation in medicine, agriculture economy, industry. " 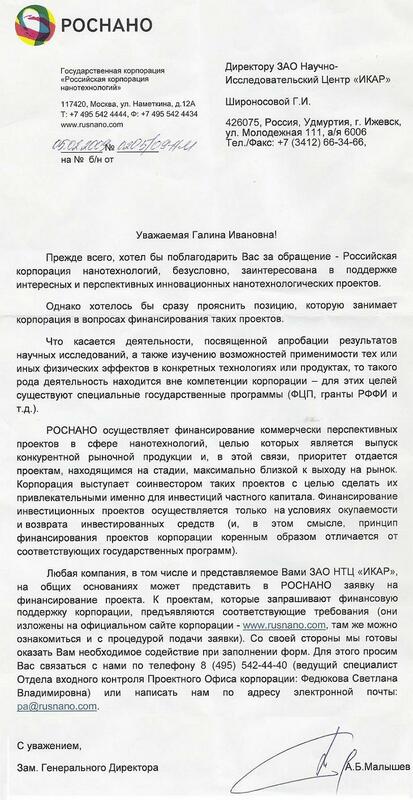 Thethises of articles and brief reports (Moscow, 2002). XIII International Symposium "International year of water 2003". Examples of practical application of activated solutions. Works of study of water orto- and para-spin isomers. Technologies of use of electroactive solutions. “The Khachatryan Effect and Cancer” - Open seminar Professor Ashot Khachatryan in Singapore (26.03.2009) The Treating of Patients in U.S.A. using Anolyte, Catholyte... and Non-Contact Activated Liquid - NAL. Collection №47 - A jubilee volume devoted to the 20th anniversary of the center "IKAR"
The economical way to supply people with premium quality water is resonance technologies application. Piping system disinfection and self-purification (recovery) by means of aqueous solutions with resonant microcluster structure. Production of bioactive bottled drinking water with long-lasting redox potential and antioxidant effects. Collection №62. Made in Russia – "Tomed"!!! Dynamic systems of magnetically interacting free bodies (Kozorez V.V.) sb63-1.djvu. Information in thermodynamics and phase transitions of the second kind (Slesarev V.I.) sb63-2.pdf. The perspective possibility of the properties of cellular structures to resonantly restore the functions of tissues and organs by contactless exposure to the energy of cold plasma sources in a coherent electromagnetic field(Усов В.П., Парыгина Т.А., Митюнин Д.В.) sb63-3.pdf. Collection №64. NTS - Rather Obvious than Incredible! Nuclear reactions and transmutation of isotopes in biological systems (prehistory, current state, prospects). IJUS №17-18 (Vysotsky V.I., Kornilova A.A.) sb64-4.pdf. Experimental studies of excess heat release in a Ni + LiAlH4 system. IJUS №17-18 (Stepanov I.N., Panchelyuga V.A.) sb64-2.pdf. Arguments in the biology of transmutations at weak energies. Part 1. IJUS №17-18 (Kervran K.L.) sb64-3.pdf. Arguments in the biology of transmutations at weak energies. Part 2. IJUS №17-18 (Kervran K.L.) sb64-4.pdf. The concluding remarks of O. Costa de Borgar (theoretical physics). IJUS №17-18. (O. Costa de Borgar) sb64-5.pdf. Physical principles of cold thermonuclear fusion in water based on the works of Tesla, Lebedev and Poincare. II All-Russian Water Congress. Moscow. 05.06.18-07.06.18. (Shironosov V.G.) sb64-6e.pdf. The reasons for obtaining a reduced oxidation-reduction potential in melt and rainwater (Aristova N.A., Kuzina E.D., Piskarev I.M.) sb65-1.pdf. Possible approach to the normalization of the salt composition of the human body (optimization of the composition of drinking water, food and balneological procedures) (Decin A.N.) sb65-2.pdf. The microalga Chlorella is the best natural system for healing people (Kotlovker I. F.) sb65-3.pdf. New directions in increasing biological adaptation and human health: spectral-dynamic impacts (Soloviev A.A.) sb65-4_en.pdf. Collection №66. "GRNT" - "Open, Invented in the USSR" и "Made in Russia" – "IKAR"!!! FMR on the loose samples. (Course project. The executor: Shironosov V.G., Head: Filatov AI. Sverdlovsk. 1975. UPI them. CM. Kirov, Faculty of Physics and Technology, Department of Theoretical Physics.) sb66-1.pdf. Features of nonlinear ferromagnetic resonance on loose samples. (Graduation project. Diplomant: Shironosov VG, Head: Filatov AI Sverdlovsk. 1976. UPI them. CM. Kirov, Faculty of Physics and Technology, Department of Theoretical Physics.) sb66-2.pdf. Ponderomotive effect of an electromagnetic field on ferromagnetics under ferromagnetic resonance conditions. (The dissertation author's abstract on competition of the deceased degree Ph.D. Diplomant: Shironosov VG, Head: Chirkov A.K. Moscow. 1983. Moscow State University. M.V. Lomonosov Moscow State University. Faculty of Physics.) sb66-3_en.pdf. Ponderomotive effect of an electromagnetic field on ferromagnetics under ferromagnetic resonance conditions. (Dissertation for the degree of Candidate of Physical and Mathematical Sciences Diploma: Shironosov V.G., Head: Chirkov A.K. Moscow, 1982. MV and SSS RSFSR., UPI named after S.M. Kirov, IGMA.) sb66-4.pdf. On the stability of unstable states, bifurcations, chaos at nonlinear dynamical systems. (Shironosov V.G. - DAN SSSR, 1990, v. 314, No. 2, p. 316-320.) sb66-5_en.pdf. About the pendulum P.L. Kapitsa outside and inside the zones of parametric resonance. (Shironosov VG - ZhTF, 1990, Vol. 60, no. 12, p. 1-7.) sb66-6.pdf. The task of two magnetic dipoles taking into account the equations of motion of their spins. (Shironosov VG - IzVuzov USSR, 1985, No 7, p. 74-78.) sb66-7_en.pdf. Effect of resonance traps of spin particles. (Shironosov VG - ZhTF, 1983, Vol. 53, No. 7, p. 1414-1416.) sb66-8_en.pdf. GRNT - Global Resonance Nonlinear Technologies. ikar_xxi_en.pdf. Collection №67. ""Resonance from Russia"
About need of accounting of magnetic resonance forces at experimental studying of nonlinear ferromagnetic resonance in loose samples. (Filatov A.I., Shironosov V.G. - Izv. higher education institutions, Physicist, No. 1, 1977, p. 138-139.) sb67-1.pdf. Answer of authors of V.E. Shapiro. (Filatov A.I., Shironosov V.G. - Izv. higher education institutions, Physicist, No. 8, 1978, p.154.) sb67-2.pdf. Several notes concerning V.E. Shapiro's objections on "Magnetic resonance forces". (Shironosov V.G. - Depp. No. 3596-79 VINITI. MVISSO of the USSR. Edition. Izv magazine. Higher education institutions, Physicist. 1979. 5 p.) sb67-3.pdf. About new components of force acting on ferromagnetics at resonance. (Shironosov V.G. - Theses of reports All-Union konf. On physics of the magnetic phenomena, Kharkiv, on September 26-29, 1979. 5 p.) sb67-4.pdf. On the need to take into account the ponderomotive force moment in the study of nonlinear ferromagnetic resonance in anisotropic samples. (Shironosov V.G. - Depp. No. 3110-79 VINITI. MVISSO of the USSR. Edition. Izv magazine. Higher education institutions, Physicist. 1979. 6 p.) sb67-5.pdf. Increase the sensitivity of ponderomotive wattmeters with the help of ferromagnetic resonance. (Shironosov V.G. - the Radio technician, 1980, t. 35, No. 5, p. 64.) sb67-6.pdf. Electromagnetic resonant pressure and moment of forces. (Shironosov V.G. - UFZh, 1980, t. 25, No. 10, 1742-1744.) sb67-7_en.pdf. On the need to take into account the ponderomotive force moment in the study of nonlinear ferromagnetic resonance in anisotropic samples. (Shironosov V.G. - ZhTF, 1981, v. 51, no. 1, p. 192-193.) sb67-8.pdf. Resonant confinement of particles with intrinsic magnetic moment in a variable inhomogeneous magnetic field. (Bonstedt A.V., Shironosov V.G. - Letters in ZhTF, 1989, v. 15, No. 5, p. 82-85.) sb67-9_en.pdf. Stability of stationary motion of a magnetic gyroscope in an inhomogeneous magnetic field. (Shironosov V.G., Susloparov V. M. - ZhTF, 1987, vol.57, No. 4, pp. 785-788.) sb67-10.pdf. Analog modeling of the dynamics of magnetic dipole in an inhomogeneous magnetic field. (Shironosov V.G., Kuzmin S. V. - ZhTF, 1987, 1987, vol.57, No. 3, p. 583-585.) sb67-11.pdf. Parametric resonance in nonlinear systems with several degrees of freedom. (Shironosov V.G. - Dissertation of doctor of technical Sciences, 2000. URO RAN) sb67-12.pdf. Collection №68.THEMATIC READINGS AT SCHOOL "PILOT". Morphogenetic fields of the human body November 17-18, 2018 (Thematic readings at school “pilot” from first persons.) sb68-1_en.pdf. Introduction. Function-form-genome-energy-information-adaptation. (Litvinov I. A.) sb68-2.pdf. The key role of the steady imbalance of water systems in the emergence and functioning of living matter. (Voleikov V. L.) sb68-3.pdf. Distant interactions of biological objects in the period of morphogenesis. (Burlakov, A. B.) sb68-4.pdf. Principles of energy balance and control in a living system. (Gall L. N.) sb68-5.pdf. 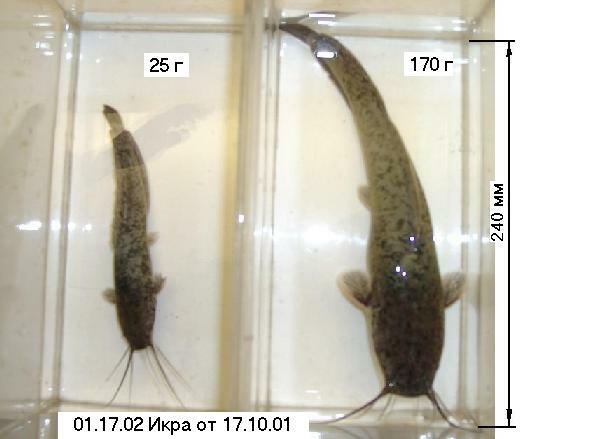 Мodeling of critical periods of the development of the loach on the kinetics of changes in the ORP of the incubation medium. (Burlakov A. B.) sb68-6.pdf. The theory of morphogenesis and biodynamic model in osteopathy. Where we come from. (Litvinov I. A.) sb68-7.pdf. Anomalous physico-chemical properties of ultra-high diluted aqueous systems - a possible basis for homeopathy? (Voleikov V. L.) sb68-8.pdf. Morphogenetic fields and cavitation in biosystems. Health in damage. Where are we going. (Goncharenko A.I.) sb68-9.pdf. Technologies based on non-linear parametric resonance of N. Tesla (demonstrations from a series of unexplained phenomena - “physicists are joking”). (Shironosov V.G.) sb68-10_en.pdf. The voice of the universe - as a projection of the human voice (presentation of the seminar "SOUNDAGE"). (Demin S.V.) sb68-11.pdf.